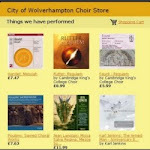 City of Wolverhampton Choir: Duty Done! Eleanor Hodkinson along with fellow soloists Chloe Pardoe, Brock Roberts and Andrew Randall delivering a stunning performance of the Nelson Mass supporting the City of Wolverhampton Choir and The Wolverhampton Symphony Orchestra. 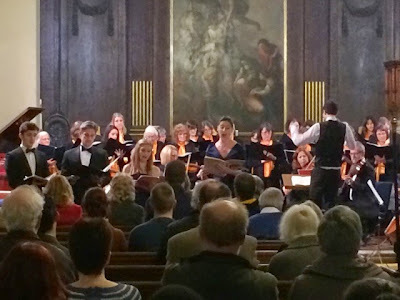 A delighted audience enjoyed the first half of the performance which was made up of Two Psalms by Holst and Five Mystical Songs by Vaugahn Williams. Excellent performances by Brock Roberts and Andrew Randall had the audience primed and ready for a second half Nelson Mass. The choir's accompanist Sofia Sarmento also gave a fabulous performance of Sarnia the 1st move to from John Ireland's Le Catioroc. The Mass delivered an all guns opening volley fit for HMS Victory and set up an unrelenting performance of the highest order. Daniel Galbraith continues the development of the choir and was very pleased with such a rousing performance. Thanks also to Nicholas Morris on organ and Ros Raynor leader of the WSO. All in all a performance fit for a hero.